pH and ORP measurements are necessary for sample analysis in a wide range of applications. Meet your pH and ORP needs with an extensive line of pH meters, pH electrodes, buffers, and kits designed to make your complex lab and field measurements routine and reliable. Whether in the lab or in the field, our dissolved oxygen meters, rugged dissolved oxygen probes, and solutions are designed to meet your standards for performance and price for your dissolved oxygen readings. 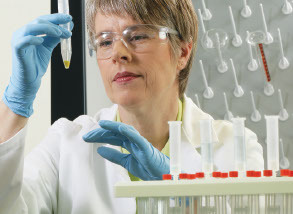 Manual titrations are time consuming and can be inaccurate due to the element of human error. Important data can be easily lost due to improper tracking methods. Thermo Scientific Orion Star T900 series automated titrators are designed to make performing titrations faster, easier, and more reliable, with reproducible results.